Discover more about private investigators capability, employment and regulations in Memphis. Welcome to International Counterintelligence Services, a private investigation agency that has been conducting quality private investigations around the world since 1967. The success of many cases depend on how you decide to respond. It has proven critical to hire a private investigator quickly. You can receive a no-cost, confidential consultation 24 hours a day with one of our on-call licensed private detectives. We can be reached at (888) 223-6494 or through our online free consultation system. ICS offers a full range of private investigation services throughout Tennessee and their investigations are always performed by licensed Tennessee private investigators. ICS investigators are committed to providing affordable, reliable and confidential services. ICS agents are held to the highest levels of professionalism and you can expect their findings reported in an accurate and timely fashion. Contact us today to begin your case. ICS is a full service private detective agency. If you need to hire a private investigator in or near Memphis, turn to ICS, the premier Memphis private investigation agency. To begin your free consultation with ICS, call our Toll Free, 24-hour line at (888) 223-6494, or complete the online consultation form to begin your conversation with a case analyst. Each state has their own, individualized private investigation laws and regulations, so it is important to hire a private investigator that meets the legal requirements for your state. To function within the legal parameters in Tennessee, private investigators must be licensed through the Tennessee Department of Commerce and Insurance. Qualified applicants will pass an in-depth background check, including fingerprinting, complete all training and continuing education programs, and be of sound moral and ethical character. 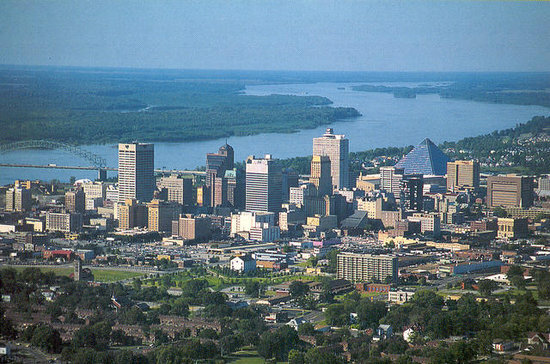 ICS private investigators in Memphis meet or exceed state mandates for their field. ICS believes that hiring a private investigator in the Memphis should be an honest and easy experience, which is why ICS treats every case with dignity, respect, and discretion. It is ICS’s company mission to provide excellent service to all of our clients, no matter how large or small their case may be, by conducting timely, affordable, efficient, and confidential investigations, every time. If you live or work in the Memphis Metropolitan Area and need a private investigation in town or elsewhere, you will not find equal service, experience, and forensic technique. ICS services all of Tennessee, providing private investigators for the following areas: Nashville, the greater Davidson County, Memphis, West Memphis, Collierville, Clarksville, Olivebranch, Brentwood, Chattanooga, La Vergne, Franklin, Germantown, Belle Meade, Gallatin, Hendersonville, and more. ICS services Memphis and its surrounding areas, and accepts most case types. Hire a private investigator from ICS when you need to catch a cheating partner, collect evidence for a child custody, visitation or support hearing, or locate a lost or missing person. ICS is a full service private investigation agency capable of assisting in these case types and more, so call to begin your free consultation today, or complete the online consultation form. For a comprehensive list of case types available in your neighborhood, please visit the Investigations we Solve link on the left-hand side of this page.